When preparing for a career break, a big question is always “what to do?”. Some people use the time to learn a new skill and others may volunteer. For Lisa Dazols and her partner Jenni Chang, they wanted to bring some meaning to their break. They will be traveling for a year across Asia, Africa and South America in search of gay people who are creating change for the LGBTQ community and they will feature a collection of their conversations on their website, Out and Around. By telling the stories of these Supergays, Out and Around hopes to inspire the gay community, decrease homophobia, and raise awareness on gay issues in the developing world. As if taking a year off to travel the globe was not enough of a thrill, Jenni and I decided to give our trip a little something extra. Overachievers by nature, we wanted to use our year abroad to accomplish something meaningful. During our travels through sixteen countries, we’ll be on the hunt for the Supergays – individuals who are leading the momentum on the LGBT movement. Supergays may be directly involved in community organization, or they may be using their influence in politics, health, arts, entertainment, or business to raise awareness and make progress on gay issues. The funny thing is we aren’t writers, photographers, web designers, or filmmakers. We’re a social worker and a business manager. Overwhelmed by the steep learning curve ahead, we started to prepare by taking classes in writing and photography. We involved our friends with a range of professional backgrounds who guided us. Then when all else failed, we Googled our questions and watched how-to videos on YouTube. We learned that when you want to make something happen and follow your passion, people reach out to support and guide you. We’re very ordinary people who found extraordinary support. 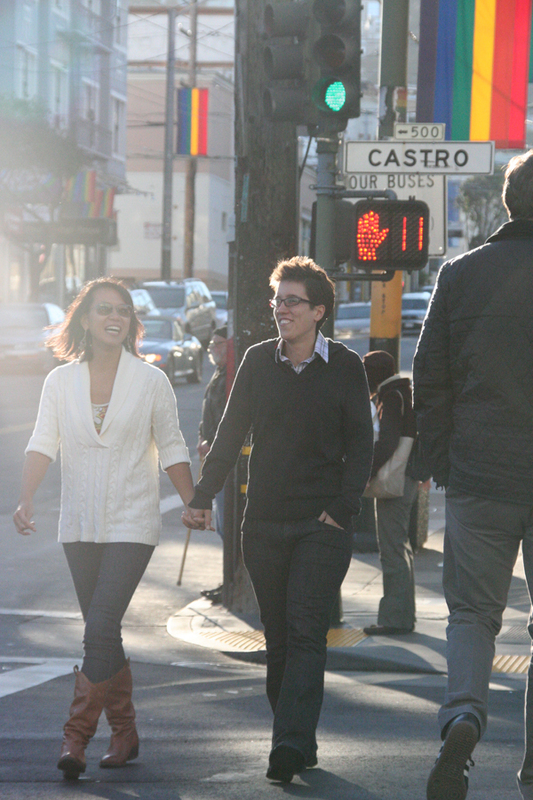 In our everyday lives in San Francisco, we are fortunate to live in a supportive “gayborhood”. We know how lucky we are. We live in a city that not just tolerates difference, but celebrates diversity. At the same time, no one is free from the sobering properties of homophobia. As a social worker, I chose to work in HIV to accompany individuals who struggle with the devastating mental and physical impacts of stigma and discrimination. Meanwhile, Jenni fights the good fight at home trying to educate her devout Evangelical parents who are adamantly against her relationship with me. Our vision for this project is fueled by our desire to seek out individuals who have struggled and succeeded across the world. 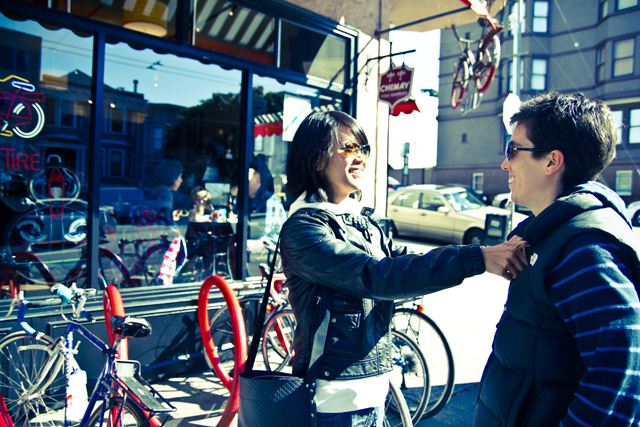 Increasing visibility as lesbians traveling abroad also empowers us. The positive responses we have already received from the LGBT community fuels our passion even more. As we prepare for the big trip in July 2011, we are giddy with excitement and we hope this project helps to act as a meaningful ripple in the larger LGBT movement. You can follow Jenni and Lisa’s journey on Out and Around, on Facebook and also on Twitter. You can also learn more about their documentary and fundraising efforts.